The above menu will bring you to the local eRegulations websites of Ha Noi, Da Nang and Ho Chi Minh City. Click on the corresponding tab to have access to step-by-step guides on investment procedures in these cities. You can also compare procedures among the three cities (or only two of them) and see which are more convenient to you, on the basis of time, cost, number of steps, etc. This site is made available to all interest investors by the Foreign Investment Agency of Vietnam, to promote transparency and facilitate investment procedures. 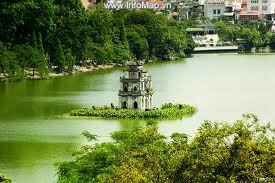 For the time being, the site presents investment procedures in Ha Noi, Da Nang and Ho Chi Minh City. Indicate in the menus in the right column the type of operations you are interested in, and click on cities among which you want to compare procedures. If you have any comment about how this site can be improved or about material you would like to see here, please let us know. With the financial support of the Government of Luxembourg and the technical assistance from UNCTAD.